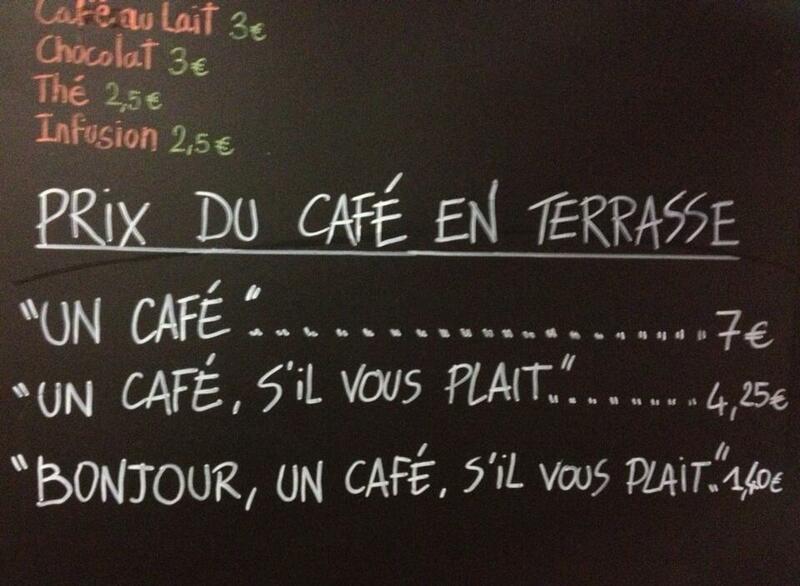 At La Petite Syrah Cafè in Nice, France, the price you pay for your morning coffee fix depends on your civility level. Patrons who just say, “a coffee” pay 7 Euros per cup of coffee. Those who say, “a coffee, please” pay 4.25 Euros. And those who go the distance and say “good morning, a coffee please”? Well, those folks pay only 1.40 Euros for a very same cup of coffee. According to the online magazine The Local, what began as a joke to try and reduce the rudeness of stressed and hurried lunchtime customers, resulted in people being super-polite, more relaxed, and smiling more. Civility is about those little gestures that make everyone’s life more pleasant – the hellos, please’s and thank you’s are a great place to start. This is true for La Petite Syrah, and it is equally true for your workplace. Civility from customers is great. Civility towards customers and colleagues is equally great, if not greater. And as you already know, when civility is not there — when the other side of the coin settles in the form of incivility, there will be lots of ripples in the pond. People can get mighty upset, and even retaliatory. Instead, why not use humour to address things, just like the good people at La Petite Syrah chose to do? As the saying goes, you can catch more flies with honey than with vinegar. What is one insight you gained from La Petite Syrah’s initiative? How will you use this insight to boost civility on your team? What are the top two things you teach (or would teach) your children about civility? How do those teachings apply to your workplace/team? If you saw someone at work behaving in an uncivil fashion, would you intervene? Why or why not? What is one bad habit that you possess in regards to this issue? What will it take for you to begin taming this habit? As always, good luck on the journey! And do get in touch, anytime! This entry was posted in Blog, Miscellaneous, Workplace Incivility. Bookmark the permalink.